Another unedited 25 minute segment of last Monday's HHA special meeting held in City Council chambers is available and sent via email. 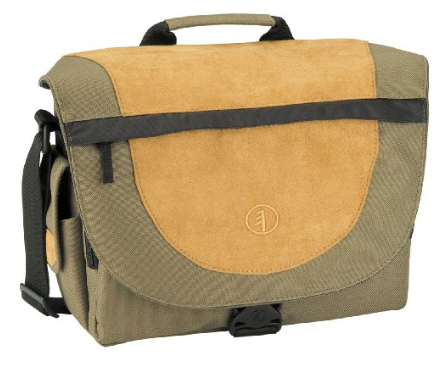 A picture of the camera bag stolen with all contents within feet of assembled media. No other media reported their gear stolen. The MSV bag was a secondary prize for Carmelo Garcia's crew at Monday's special meeting. Talking Ed Note: Which Beth Mason political operative was thrown out of the meeting Monday in the first ten minutes but magically is seen at various points later? 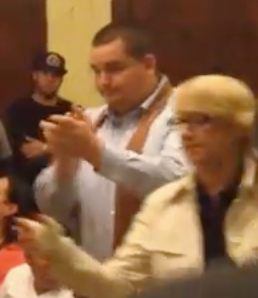 Contrary to a signed letter by Councilwoman Terry Castellano in the weekend paper, it was Matt Calicchio, a Beth Mason political operative who was the first person ejected from the meeting. The Chair gave the order within the first 10 minutes of the meeting. Calicchio exited but returned in miraculous fashion. A second person was escorted out before the stoppage and that may have been driven largely by safety concerns after a minor misunderstanding led to the first full meeting stoppage and melee. Carmelo Garcia and his "spokespeople" swung into action. More on that later. Contrary to a confirmed false report, MSV left the meeting after a second troubling approach by Carmelo Garcia occurred in the City Hall lobby during the stoppage. Acting Chief Eddie Garcia along with others stepped in restraining Carmelo Garcia. After, Chief Garcia asked MSV to go to the police station and report the theft of property at the meeting and the request. His polite request was fulfilled. saw him soon return. We've seen this before.